[10 mins.] Two great indie films that opened this weekend are the focus of this Episode 310. 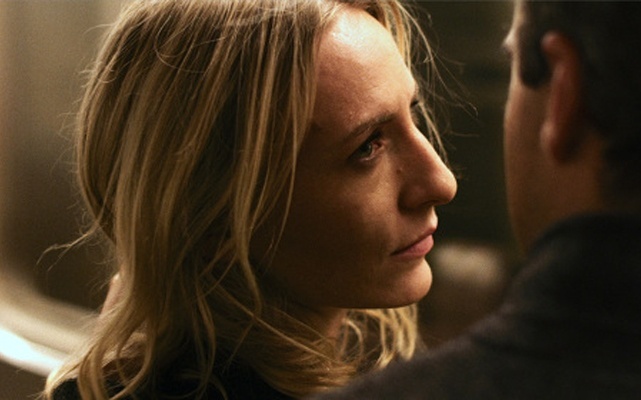 The first is John Magery's "The Mend". The film is about the complicated relationship of two NYC brothers (and the women who love them). Half kidding but we do extensively discuss the issue of gender and writing roles for women. Included in the segment is actress Mickey Sumner ("Frances Ha", "The End of the Tour"), director John Magery, and co-producer Myna Joseph. The Mend is currently screening at the IFC Center in NYC. It will have its LA theatrical starting August 28th at the Sundance Sunset Cinema. Click here a full list of screenings. The film is being distributed by Cinelicious Pics. [48 mins.] Next up is actor Jake Johnson ("Drinking Buddies", "Jurassic World") and returning for his 4th visit to the podcast, filmmaker Joe Swanberg. The film they co-produced —with past Filmwax Radio guest Alicia Van Couvering— is called "Digging For Fire". In addition to Jake Johnson, the ensemble cast includes Rosemarie Dewitt as his wife, Jude Swanberg as their son, plus Sam Rockwell, Brie Larson, Jenny Slate, Anna Kendrick, Mike Birbiglia & Sam Elliot. The film is currently screening in NYC & LA and will be available on VOD as of August 25th. The film is being distributed by The Orchard.